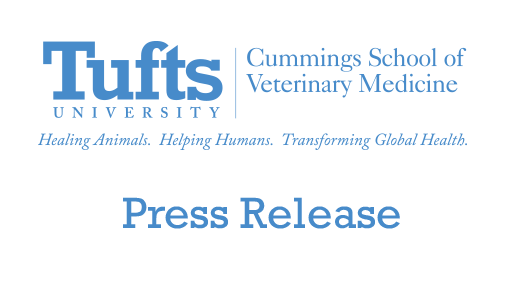 The nutritional content of dog foods marketed for old dogs varies as widely as owner’s perceptions about them, according to a study published this month by veterinary nutritionists at the Cummings School of Veterinary Medicine at Tufts University. Although it is commonly accepted that nutritional needs—both for humans and pets—change with aging, the Association of American Feed Control Officials (AAFCO) and National Research Council have not set official dietary requirements for aging dogs. As such, foods marketed for longevity and maturity or senior, old or mature dogs do not have to adhere to a standard nutrition profile beyond the AAFCO nutrient profile minimums for adult dogs. In the study, Tufts researchers polled more than 1,300 people online about their perceptions about these foods. 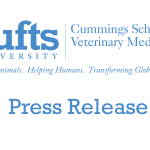 Their responses were correlated with the actual nutritional content of nearly 40 commercially available senior dog foods, and the study, led by resident Dana Hutchinson, DVM and Lisa Freeman, DVM, PhD, were published in the latest issue of The International Journal for Applied Research in Veterinary Medicine. Roughly 43 percent of respondents fed their dogs a senior diet—but only one-third of them did so on the advice of a veterinarian. The vast majority of respondents—84.5 percent—felt that senior dogs have different nutritional needs compared to adult dogs. Most survey respondents felt that senior dog foods likely contained fewer calories. However, calories in the senior foods studied varied widely, ranging from 246 to 408 calories/cup. While some dogs gain weight as they age, others lose weight—as such, the large range in calories might prove problematic for owners of older dogs, Freeman says. Most respondents also said that senior dog foods likely contained less fat, protein and sodium. Among the sample senior dog diets surveyed, these, too, varied widely (Protein 4.8 to 13.1 g/100 kcal, fat 2.4 to 6.3 g/100 kcal, sodium 33 to 412 mg/100 kcal). If an owner, for example, had a senior dog with heart disease, they might be inclined to feed them a senior food, thinking that it had less sodium, says the study’s corresponding author, Lisa M. Freeman, DVM, PhD, a professor of clinical sciences at the Cummings School and a board-certified veterinary nutritionist. Instead, they might replace a diet that had a perfectly acceptable amount of sodium for one that is considerably higher. Respondents were unsure whether, when compared to adult dog foods, senior foods would contain more or less phosphorous—restrictions of which may be beneficial in dogs with kidney disease. The actual diets had a three-fold difference in phosphorous content, including one diet that contained three times the AAFCO minimum for the mineral. Sixty-three percent of the respondents said that ingredients were the most important factor when selecting a food for a senior dog. This shows that we have much more work to do to educate the public, said Hutchinson, Freeman’s co-author. Factors that are equally, if not more, important are that the food is made by a well-established company—one with at least one veterinary nutritionist or qualified nutritionist on-staff—that has proven the food’s nutritional adequacy through AAFCO feeding trials, and that has rigorous quality control standards. The study illustrates a great deal of confusion in the marketplace, Freeman says, and it’s important for owners to be aware that every senior diet is different and so may or may not be appropriate for an individual dog, depending upon his or her body condition and health. The decision to buy a certain type of food for your aging dog is an emotional one: you want to extend her life and ensure she’s healthy well into her twilight years, Dr. Freeman says. However, not all older dogs require a senior diet and if you do decide to change to a senior food, talk to your veterinarian, because these foods are not all the same. It’s important to select one that is right for each dog. Although it is anecdotally speculated that many aspects of human aging are similar in dogs and that their nutritional needs also change with age, few studies have investigated this issue. Drs. Hutchinson and Freeman are continuing their research in this important area to help determine optimal nutritional levels for aging dogs. As in people, the nutritional requirements cannot be universally applied to all senior pets. While some studies have suggested that aging dogs may lose weight and lean body mass, as people often do, others may gain weight as their activity levels and metabolisms slow. As a result, one senior dog may need more protein and calories than another—one more reason to check with your veterinarian to talk through which diets might work best, Freeman says.